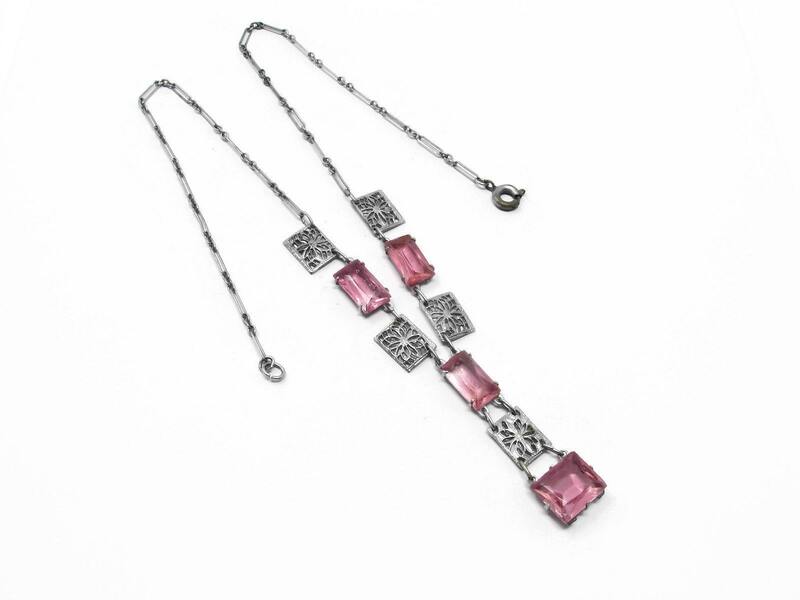 Lovely antique art deco filigree necklace features open back pink glass, rhodium plated filigree metal and and paper clip chain. 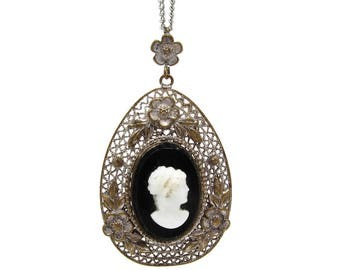 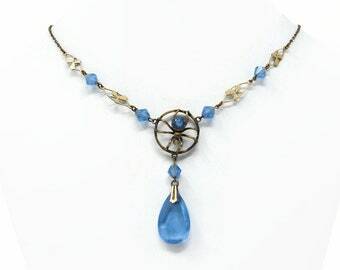 Circa 1920's, this necklace measures 16 inches long and has an 1.5 inch drop. 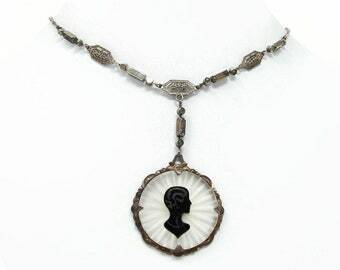 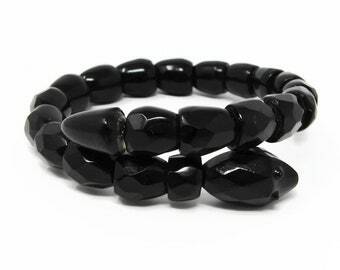 It closes with a spring ring clasp. 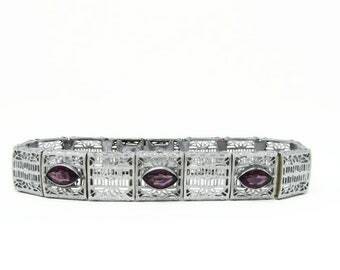 There are some flea bites to the corners of the pink glass drop that are noticeable with a jewelers loupe but are eye clean, other wise in very good condition with very little wear to the rest of the glass or wear to the plate. 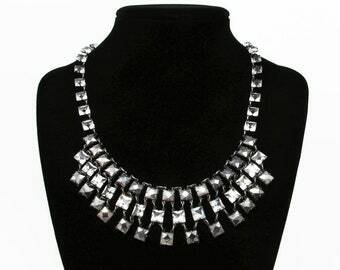 A lovely necklace, ready to wear or gift!